Sen. John McCain has joined the growing chorus of high-profile Republicans withdrawing support for Donald Trump. Former Republican Presidential nominee John McCain has disavowed Donald Trump. McCain, who is tangled in his own re-election battle for the U.S. Senate, joined a growing list of sitting senators who rejected Trump after a video surfaced of Trump crudely describing how he took advantage of women. "In addition to my well known differences with Donald Trump on public policy issues, I have raised questions about his character after his comments on Prisoners of War, the Khan Gold Star family, Judge Curiel and earlier inappropriate comments about women. Just this week, he made outrageous statements about the innocent men in the Central Park Five case, "McCain said. McCain added that "there are no excuses for Donald Trump's offensive and demeaning comments." "No woman should ever be victimized by this kind of inappropriate behavior. He alone bears the burden of his conduct and alone should suffer the consequences," McCain said. McCain said he wanted to support his nominee, but Trump's actions and words have created a scenario where that has become an impossible task. "I thought it important I respect the fact that Donald Trump won a majority of the delegates by the rules our party set. I thought I owed his supporters that deference," McCain said. "But Donald Trump's behavior this week, concluding with the disclosure of his demeaning comments about women and his boasts about sexual assaults, make it impossible to continue to offer even conditional support for his candidacy. Cindy, with her strong background in human rights and respect for women fully agrees with me in this. " McCain said he and his wife will not vote for Donald Trump. "I have never voted for a Democratic presidential candidate and we will not vote for Hillary Clinton. 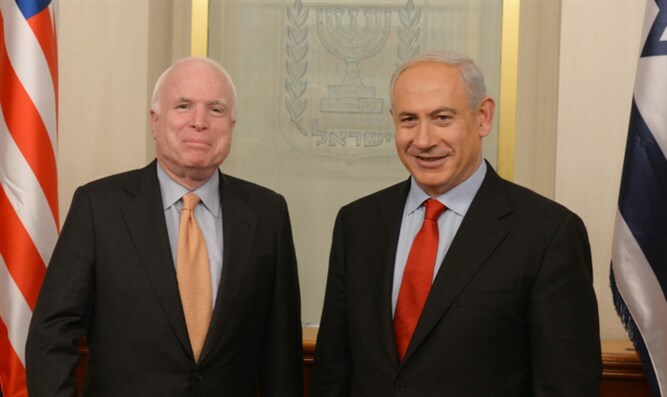 We will write in the name of some good conservative Republican who is qualified to be President," McCain said.